Now you can see who is hogging the bong, even in the dark…. 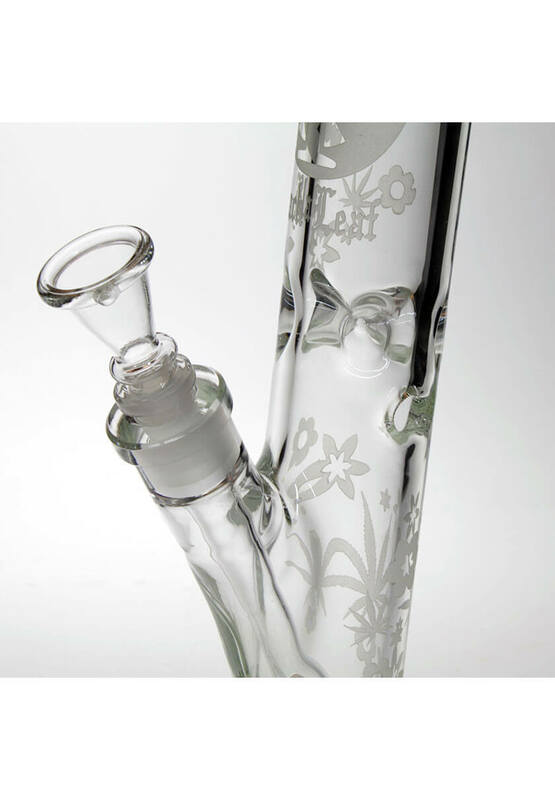 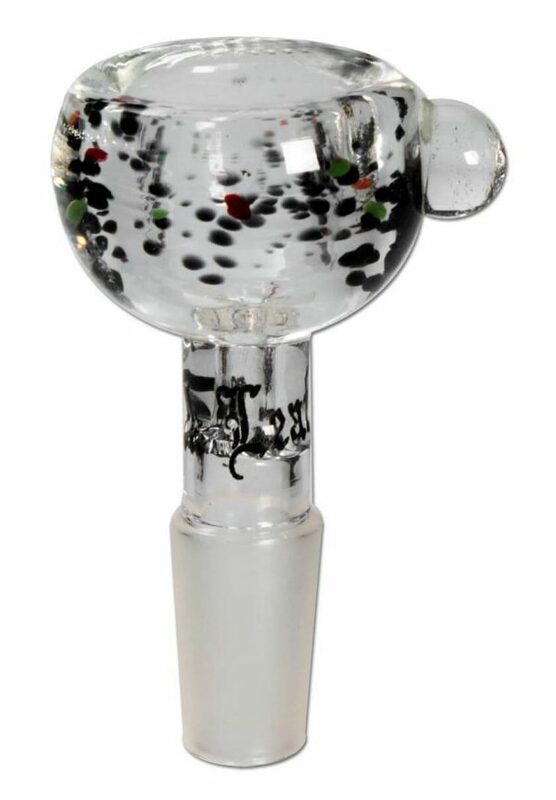 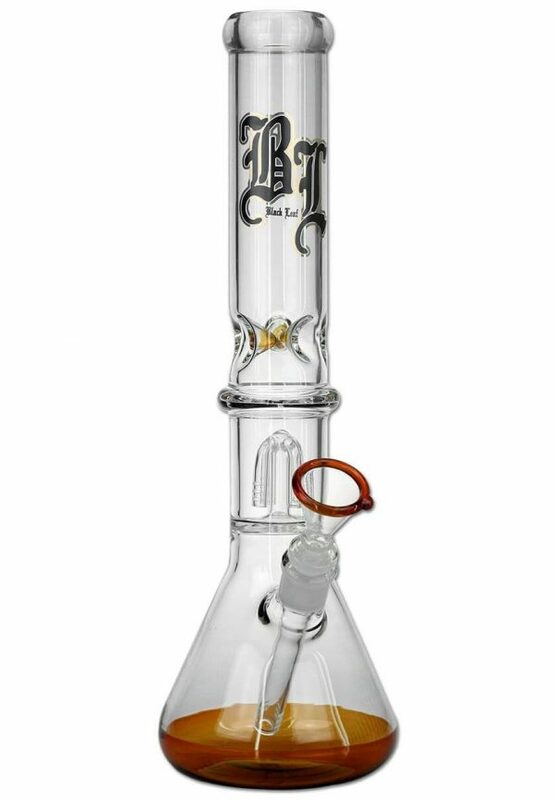 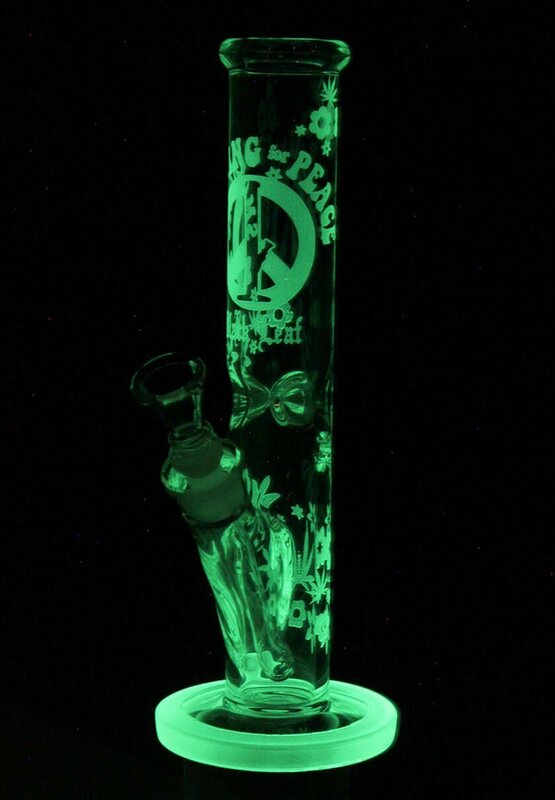 The design of this classic cylindrical bong from ‘Black Leaf’ was applied to the glass pipe by sandblasting. 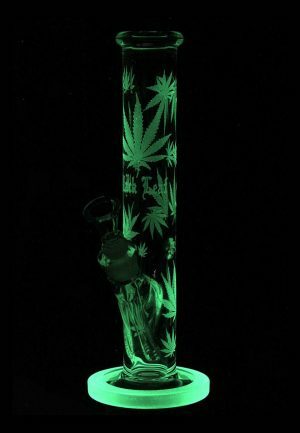 As a result, the subsequently applied luminescent lacquer is particularly long-lasting. 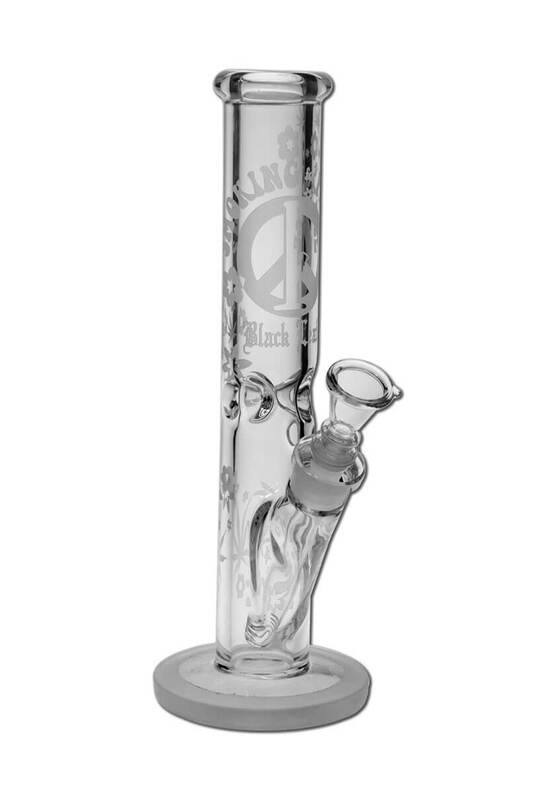 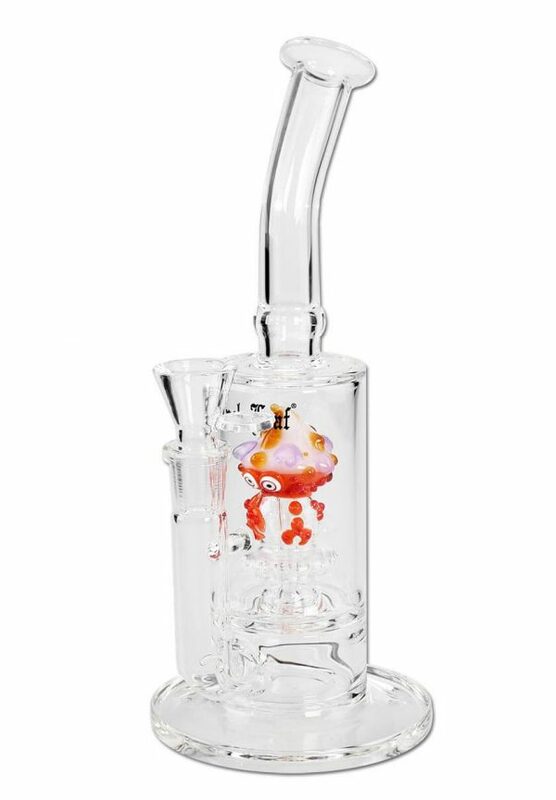 Even the wall thickness of strong 7 mm promises a certain longevity of the glass bong, which can also be cleaned very well.